Hypnosis can help some people cut back on drinking. Do you secretly worry you drink too much? Are you someone who can’t drink in moderation? Learn more about how hypnosis might help. 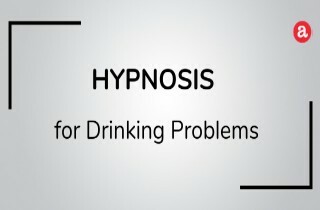 ARTICLE SUMMARY: The goal of hypnosis is to break the unhealthy emotional conditioning to alcohol and to replace it with more logical and helpful responses. Is it for you? This article takes a look at the practice of hypnosis and how it can help people who are drinking too much. Do I Need to Drink Less? Do I Need To Drink Less Alcohol? Many drinkers secretly worry that they drink too much. They think they may need to quit drinking altogether because they’ve never been able to drink in moderation. Although quitting alcohol altogether can be the way forward for a lot of people, it is not the only way. There is a very large group of people who, even though they worry about their consumption levels, can keep alcohol in their life by drinking less. Professional guidance can be helpful to some, but the problem lies in the fact that many drinkers feel isolated, alone, and shamed by the medical response which doesn’t give them any tools to help them drink less. They often walk away from a meeting asking themselves if they have a “real” drinking problem, or not. I firmly believe that most over-drinkers can reduce their drinking dramatically with the right resource. The good news is: no willpower required! Hypnosis has been used for decades to help people stop smoking, lose weight, overcome phobias as well as reduce alcohol consumption. Let’s take a look at how hypnosis can help people who may not be diagnosed as “alcoholic”…but who can benefit from cutting back on drinking. Everybody is able to be hypnotized. It is a natural state that we all enter when we go to sleep at night and before we wake in the morning. The hypnotic space is when we are half asleep and half awake. How and why does it work? The unconscious mind is the part of the mind that stores all memories and emotional habits. The unconscious mind also manages all of the bodily functions. When the conscious mind decides that a person needs to reduce their drinking, unless the unconscious mind understands this request and can confirm it is an appropriate behaviour, it will reject all requests to change. In other words, if the unconscious mind believes that alcohol helps calm you down or helps you to sleep, this part of the mind will continue to habitually demand alcohol when you are feeling anxious or restless. Hypnosis is really good at communicating directly with the unconscious mind. During hypnosis, new messages accepted by the unconscious mind can help guide emotional responses so that you begin to function without alcohol in the bloodstream. The more someone is exposed to repeated suggestions of positive actions and responses, the more the mind accepts them. During hypnosis, we are open to emotional suggestions and change in behaviours more than when we are in the conscious state. During hypnosis, a heightened state of learning can take place without judgement. The unconscious mind doesn’t know the difference between imagination and reality, hence hypnosis is a powerful space to introduce new habits. At the age of 18, he discovered his girlfriend was cheating on him. He was inconsolable. After a few weeks, his friend suggested they get drunk and party so he can get some closure on the situation. Jack tried vodka for the first time and within 10 minutes, he felt relaxed and more at ease. Suddenly, he didn’t care so much about his ex-girlfriend. Many years later, Jack was still reliant on that vodka whenever he felt like life was getting a little out of hand emotionally. He wasn’t a regular drinker but when he hit the bottle he would hit it hard and this worried his wife a lot. Jack was secretly worried too. However, he just couldn’t seem to “just have one or two vodkas!” –– It was always half a bottle or more. The trauma that Jack experienced when he was 18 triggered an emotional habit of feeling driven to drink too much whenever he felt unsafe. Even though many years have passed since the initial trauma, Jack felt he couldn’t get out of this binge drinking cycle. He and his wife both thought that he was going down the slippery slope of alcoholism. The truth was, Jack’s unconscious mind had developed a habit. Whenever he felt vulnerable, it scanned his history to find a quick fix to resolve his current emotional pain. In a nanosecond, it found vodka! Unbeknownst to Jack, his unconscious mind was demanding vodka in order to soothe him. It wasn’t that Jack wanted to drink in unhealthy quantities, it was that his mind had learned that alcohol was a good quick fix. Can Hypnosis Help You Drink Less Alcohol? Yes, the practice of hypnosis can help the mind choose options that are healthier than alcohol. Many worried drinkers, like Jack, have at some time in their life discovered that alcohol is an easy and fast solution to find some reprieve from the everyday fears of life. The mind doesn’t like feeling vulnerable. So, whenever someone feels like life is too challenging, it will find ways to give that person an emotional pick-me-up. For Jack, his mind thought vodka was the solution. For others, it could be chocolate or cigarettes. It just so happens that Jack’s mind learned early on in life that vodka was his answer. However, it is not the only answer, and hypnosis can help the mind choose a healthier option. Hypnosis is a life-changing therapy that can aid many worried drinkers who know they don’t belong in addiction recovery. The goal of hypnosis is to break the unhealthy emotional conditioning to alcohol and to replace it with more logical and helpful responses. It is also important to train the brain to be more emotionally resilient and to be open to challenges that can be dealt with without a glass of alcohol in hand. Once a drinker has developed healthier coping strategies through this method, they will not be drawn to alcohol as the instant answer. It does take practice but the hypnosis method is simple, effective, and life-affirming for many heavy drinkers. We all have the right to decide how we want to improve our lives and hypnosis is a brilliant way to achieve this. Once a drinker does not use alcohol to soothe negative emotions, their whole outlook will bebrighter, they will feel more in control of their life, and they can thendrink alcohol without it being an emotional crutch for them. Still have questions for Georgia about hypnosis? Please leave your questions in the comments section below. We do our best to respond to all questions personally and promptly. And we love to hear from our readers! About the Author: GEORGIA FOSTER is a clinical hypnotherapist & voice dialogue trainer. She qualified with distinction at The London College of Clinical Hypnosis in 1996. She then went on to become one of the college’s senior lecturers before venturing out on her own to build her online products while running her busy London Clinic. Georgia now resides in Melbourne, Australia. She specializes in alcohol reduction, emotional overeating, self-esteem, anxiety, and fertility issues. Her unique and highly successful approach has helped tens of thousands of people learn how to feel better emotionally and physically. Her new book, “Drink Less in 7 Days,” is on shelves now. To learn more visit www.georgiafoster.com. Guest Contributors to Addiction Blog offer perspective into topics of interest that we don't usually cover. We invite guest writers, clinicians, professionals, and individuals to share their experience in an article or editorial piece. Please contact us for more information about how to submit guest articles. Hi Joan. Contact the author of this article, Georgia. She is a clinical hypnotherapist and voice dialogue trainer. Her website is listed at the bottom of this article in ‘About the author’ section.